Where do I begin? I had been raised in "church" my whole life and was attending a church about 45 minutes away from Brownsville when the revival broke out. A friend of mine who had gotten involved in doing heavy drugs had attended the revival and was not only completely set free from his addiction but was also wonderfully saved. He called me and told me what had happened and that I really needed to go. Having a more religious mind set I figured it was just another regular church service. The reports however, did not stop coming in. We kept hearing more and more reports of things happening at this church in Pensacola, FL, so my family and I decided to visit. The first time I heard Steve speak it was early in 1996. I was 17. I remember thinking that he sounded very arrogant and sure of himself. It didn't help matters that there were 2 teen girls sitting directly in front of us shaking throughout the entire service. At one point a visiting methodist minister who was sitting in the choir loft stood up with a shout, spun in a circle and fell to the ground shaking, taking some microphone stands with him. We had seen enough. The next chance we had we left. I am so glad that the story does not end here. Something happened that night. God planted a seed in our hearts. My dad and Shaun (now my brother-in-law) began going back to the revival and would sit in the balcony and just listen and watch. They never got prayed for, they just watched. As they were driving home they would talk about how their hearts were burning with a new fire for the Lord. It didn't take long and we all decided to go back. I remember standing in the front parking lot before going in to the service. I knew that I was sick of religion. I knew that I was sick of only reading and hearing about what God could do. I knew God was real but didn't feel like I knew him. I was at a place of hunger and I simply said to the Lord; "If you are here, I want to know you." We went in and the music started and God melted my heart and changed my life that night. I was saved, set free and delivered of one of the most powerful vices of all...Religion. I now knew that God could move in ways I didn't understand and I was glad for it. From there everything seems like a blur. The first 5 months I did not miss one service. Steve's messages encouraged such purification that at times when I knew there was no sin left in my life I still felt like repenting. When the altar call was given you could feel the convicting presence of the Lord so powerfully that even the most stone cold hearts would respond to the Lord. I remember the first time that Steve prayed for my sister (Summer). As Steve approached her she stepped back out of reluctance because of what she saw happening around her. Steve very tenderly approached her and spoke with her a few minutes and then asked; "Can I pray for you?" She agreed and Steve prayed. Summer fell to the floor and even though she had her hands over her face you could see her tears streaming down. God did a work and she has never been the same. 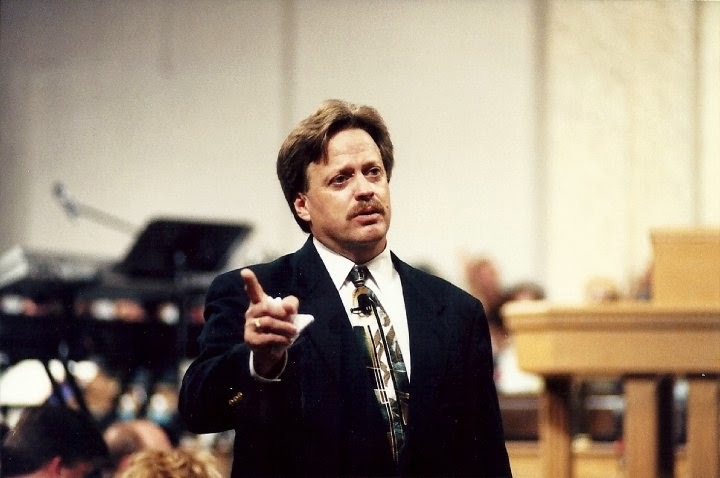 I remember not long after coming to the revival that Steve called me out and had me stand up and said something like; "You will be walking down the halls in schools and young people with be hit by the power of God." Steve probably did not know that at that time I was home schooled. But what I didn't know is that later in ministry I would be in public schools all over the world seeing young people come to know the Lord in powerful ways. 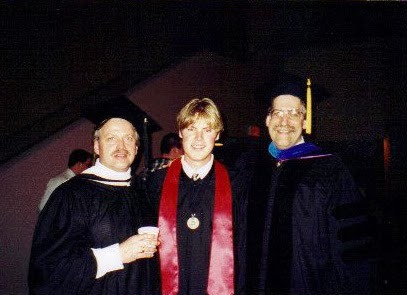 I remember getting Steve to pray for me up to 8 times a night and God always blasted me when Steve prayed. The fruit was a life igninted for the Lord. I was fortunate enough to live close to Steve. I served by cutting his lawn, cleaning out his barn and from time to time helping him around his house. I always love the times with Steve. He was always intense....always. After attending the revival for a while I saw the need to reach out. God had freely given to us so I knew we should also give. Besides day to day evangelism, I got together a group of young people and started a evangelistic outreach. Every friday night we would meet right outside of the pastors lounge and wait. Steve would come out and lay hands on us to and ask God to anoint us for our evangelist efforts that night. We would usually all be laid out on the floor in the hallway but fully charged. We would then drive down to Gulf Shores, Alabama and talk with people about the Lord. We always saw such amazing results. God always moved so powerfully. Many of the people we talked to at the beach ended up being baptized at the revival. Later in the evening we would drive back to the revival and I would wade through the crowds of people to find Steve praying for people. I would always give him a report of how many people accepted the Lord that night. He would then announce to everyone the results of our evangelistic efforts over the house speakers. He would say something like; "Friends, 5 people just got saved at the beach tonight, Praise Jesus!" He would then turn to me and pray; "Fire! Fire!" This always resulted in me flopping to the floor. God was so close. Steve would periodically get calls from concerned parents of youth. I was honored to be called on by Steve to go and talk with these young people, many who were involved with drugs and contemplating suicide. Steve's heart was to see each and every person saved. Steve never seemed to see a crowd. He saw each person as an individual. Each person needed the opportunity to meet the Lord. I loved bringing people to the revival that did not believe in God or thought it was all hype. One particular young man that I worked with believed this way. I asked him to come with me and he agreed. During prayer time Steve walked up and prayed for this young man and he fell under the power of God. When he got up, he was changed and totally embraced what God was doing. It was such a transformation in a split second that I was shocked. Only God can change people that fast. Steve's passion for holiness was something that made an impact on my life. I remember one day going through my movie collection and asking God; "Is there anything in this that you would not approve of?" By the time I was done I didn't have any movies left. The same thing happen with my music. God was using Steve to call God's people back to himself. To be able to let go of the things of this world. Jesus used Steve to remind His church that he is coming back for a bride without spot or wrinkle. A gold fish hook that Steve Hill gave me. Before going on many of our mission trips I would go and meet Steve at his office and we would talk together about what the Lord was doing. He always had great instruction for me. I always marvelled at Steve's extensive library and a certain ring he wore. It was gold with a wheat sheave that served as a reminder of the harvest being plentiful. It was in one of our meetings that Steve gave to me a gold fishing hook as a reminder that we are to be fishers of men. Steve was and always has been an inspiration to me. Someone I knew that would give it to me strait and with truth. The Lord changed my life and thousands of others through Steve's ministry. Steve gave us an example of what it means to run the race. May his example motivate all of us to get up and go. Well written. I am grateful for your recording these things for all to see. I was only in the Revival for the last year or so but it was absolutely life-changing. The things I saw and felt during that period of time made everything else dull and a waste of time, by comparison. There has only been a sad awareness of what is not happening in my life since then. I am ruined for all things "church". Even as a member of a Spirit-filled congregation, I long for more. I see the Spirit moving and I just remember what it was like...so. much. MORE. Steve Hill and the others like him ( so very few, to be sure) are voices crying in the wilderness. Your right...there is more! Many times I think "churches" get stuck in their routine. They have figured out how to run a service without the Holy Spirit and when the Lord leaves no one is the wiser. We need to cry out to the Lord for revival. I think the church as a whole is willing to settle for "going through the motions" because she's never had MORE. Dr. Brown used to say that as long as we're willing to live without Revival, we will. God please shake us out of our slumber! !